As a graduate student of art history, my natural curiosity regarding images has been transformed over time into an obsession. All images mean something. At least among my cohort. So in the nascent stages of this blog, I’d like to address the images you see here. Or actually, above and behind this blog. [2013 update: these photos are no longer part of the blog’s backdrop, but they’re still great to look at, so let’s play along!] There’s actually no big or deep hidden meaning. They are pictures I took during a month-long trip through Argentina (and a bit of Chile) a few years ago. The “road” image was snapped during a very long bus ride on the edge of Patagonia. This image reminds me of how desolate this part of the world still is. We were lucky to see a horse every hour or so. Therefore, the warning of passing another car seems excessive. 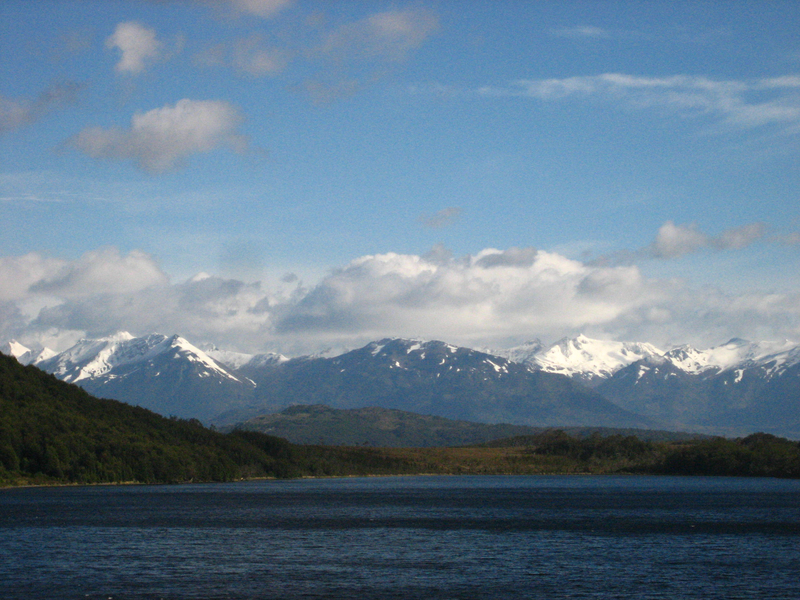 I took the “mountain/lake” image while on a three-day boat trip from Puerto Montt to Puerto Natales. On the last day of the trip we woke up and were close enough to the famed Torres del Paine National Park that we could see the peaks. We were the only tourists on the boat who didn’t go to the park; I’ll discuss my fondness for camping in another post. So this is as close as I got to this landmark but it was still pretty rad to have seen it from a distance. ← What is a good girl?